e180 created new opportunities for collaborative learning with the Obama Foundation at the Obama Foundation Summit 2018 and in February at MBK Rising! 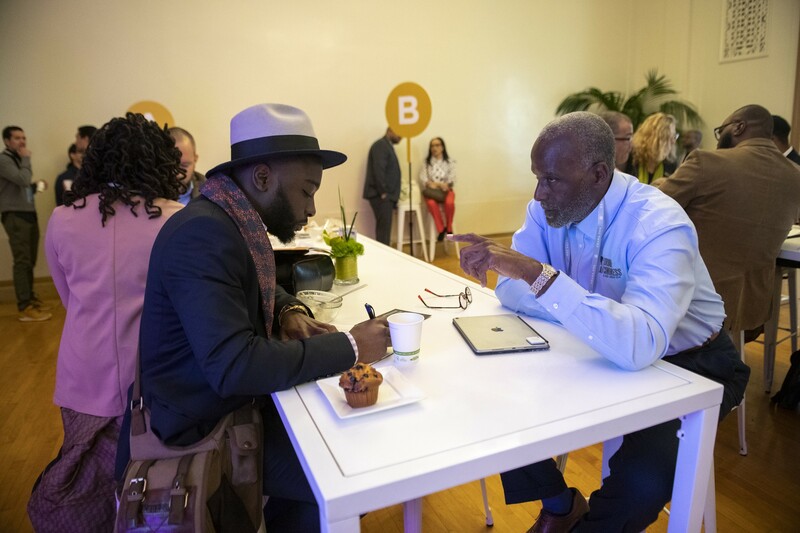 Harold Pearson has been involved in the field of sports and education for over 20 years: several weeks ago in Oakland at MBK Rising!, he was inspired to share his knowledge on a group braindate. His topic, Engaging Black Boys Through the Intersection of Sports and Education, instantly sparked interest among participants across generations. Meanwhile, Antiwan Tate also set out to leverage braindates at MBK Rising! to engage others in a discussion about something that was close to his own heart. 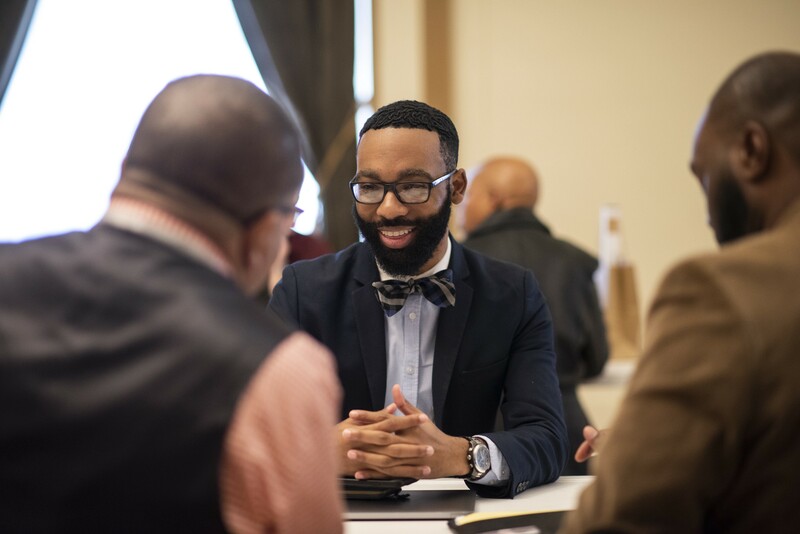 “My passion for economic inclusion for Black young men of color is what inspired me,” he shared. There are some collaborations that strike a deep chord in us here at e180. It’s those through which we have the opportunity to engage leaders who truly embody our vision and mission. 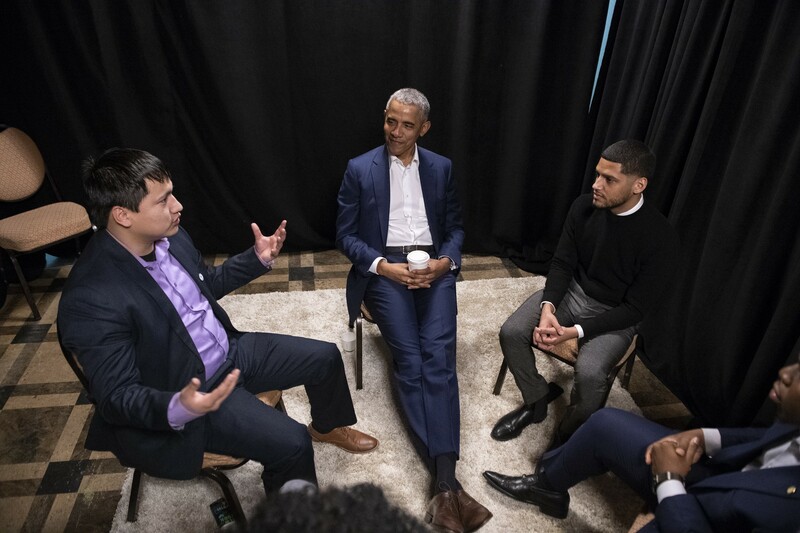 Last November, we had the privilege of bringing braindates to the Obama Foundation Summit in Chicago. Our goal was to help activate the Summit’s theme, Common Hope, Uncommon Stories, through the knowledge-sharing opportunity of braindates. 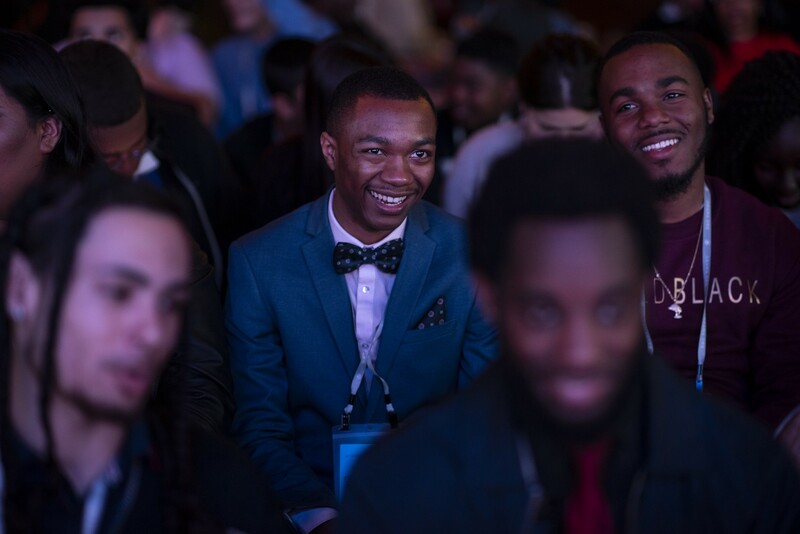 This February, we brought braindates to another Foundation initiative, My Brother’s Keeper Alliance, for their MBK Rising! event. Braindates helped serve this mission by creating a space for collaborative learning, deep discussion, and knowledge-sharing among the participants. And based on the stories we’ve captured, we’ve seen just that. This has been an affirmation of my own gifts. Working with such high talents and seeing their lives light up in the enlightenment of knowledge and energy is more than an inspiration. In Affirmation, Encouragement and Love, I give thanks.